A shocking story about a 15-year-old girl and the man who took advantage of her. "You might as well know from the start, I'm not going to tell on him, and I don't care how much trouble I get in. It's not like it could get any worse than it already is. I can't. Don't ask me why, I just can't." When Nina finds out that her 15-year-old daughter, Scarlett, is pregnant, her world falls apart. Because Scarlet won't tell anyone who the father is. And Nina is scared that the answer will destroy everything. 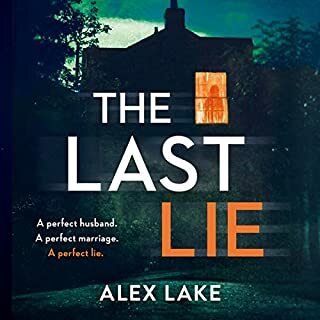 As the suspects mount - from Scarlett's teacher to Nina's new husband of less than a year - Nina searches for the truth...no matter what the cost. The Affair is one of those stories that makes you want to scream at the characters, "open your eyes!" I had a love- hate relationship with this. The story is told from several alternating pints of view and centers around one 15year old girl's relentless need to keep a secret from her mother, having been suspected of an illicit affair with her English teacher. In the process, her stubbornness born of immaturity and obsession threatens the very core of her mother' sanity, her marriage, the teacher's young family, and her community. I strongly disliked the character of Scarlet and sympathized likewise little with her mother. The soft yet hidden toughness of the voice of the teacher's young wife lends a sense of truth and reality to an otherwise oft-unbelievable tale. I kept blaming the victim and that wasn't fun, but I'd be dying to know what other readers think! Overall, worth listening to, even though it seems long and is terribly frustrating at times, the end result brings you some relief and sense of fulfillment for the characters. Recommend with caution. Amanda Brooks created a literary masterpiece that Avitia Jay narrated to perfection. 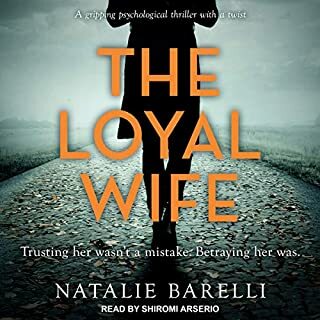 This story is definitely worth the credits.Fans of Pretty Little Lairs...get this audiobook now! I was hooked and surprise at the true villian in the story as it unfolded...I didnt want to put it down. I listened none stop to the very end. Well done Ladies. I first discovered Amanda Brooke with her novel &quot;Where I Found You&quot; and recently followed it up with &quot;The Child's Secret&quot;. I found both were stronger reads - either because of the choice of narrator or because the characters were more sympathetic. With this book, I massively disliked almost all the characters. I couldn't understand why Nina was friends with Sarah, why she married a man her kids didn't know or accept, then accused him months later of impregnating her daughter. Amanda Brooke has a knack for creating emotional and complicated characters, but in this book, these were all just navel-gazers who never reflected on their own motivations and justified themselves. 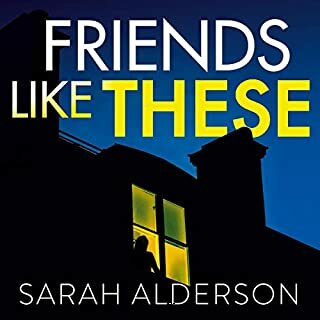 They talked and talked and TALKED to each other without saying anything substantive, and the narrator frequently couldn't well-differentiate between characters, and some of those she could (Sarah, in particular) sounded like she had marbles in her mouth. Perhaps I will read this in print, but this audiobook definitely didn't do it for me. This was a bitter sweet innocence lost story. I found myself empathizing with each of the main characters and in turn wanting to slap each of them. The narration was good and added to the overall enjoyment. The story switches back and forth in time into before and after. This wasn't necessary and detracted a little from the story revealing itself in a natural way. I couldn't put it down. it keeps your interest from the beginning. it had a lot of twists and turns, do when you think you know. You really don't know. It's not like me to leave a bad review but I'm struggling to find much I enjoyed about this book. The narrator really spoiled it for me. She seemed to be reading at half-pace and the voice she used for the men was creepy and menacing. The story was boring and drawn out and none of the main characters were likeable. What about Avita Jay’s performance did you like? Her performance was, for the most part, very good. She did a great job of voicing each character and her tone was always consistent with mood. However, there were quite a few ocassions when she read a sentence with an obviously incorrect emphasis, and on one occasion she mixed-up the 'he's' and 'she's'. This book seemed a little slow at first. By chapter 7, I was wondering if I would stick with it. However, when it got going, I found it really compelling. All of the characters are really well fleshed-out into flawed human beings. I was often thinking 'ooh, I wouldn't handle it that way' or 'don't say that', but on each of these occasions, it was in response to a portrayal that was very realistic. People are, after all, fallible and parenting a teenager can be a challenge at best, and a bit of a nightmare at worst. I warmed to most of the characters and the ones that I didn't warm to were, nevertheless felt very 'real', since they are superbly drawn. What disappointed you about The Affair? Who might you have cast as narrator instead of Avita Jay? There wasnt a single character I liked - they were all annoying and Scarlett in particular is very annoying. Despite being a child, I really disliked her. Only good bit was that I guessed the wrong man, which was a nice surprise. Took a long time to get to the point, and I found the narrators tone and pauses annoying. 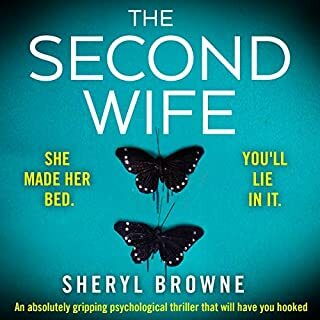 Really enjoyed listening to this book, I wanted something easy to follow without too many characters and this was perfect. 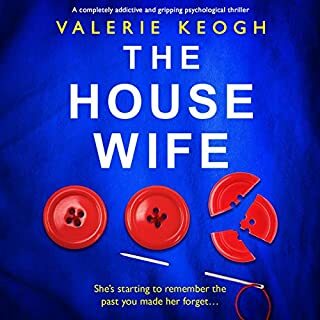 A scary read when I myself have a daughter approaching her teenage years... but very well thought out & written enabling you to see the story from each different characters point of views. I would certainly read/listen to another book from this author and the narrator was brilliant too with each characters voice and emotion you knew exactly who was speaking. Gave 5 stars across the board!! I was on tenderhooks about who it was, I thought the story was abit .. because it was an underage girl, but I knew beforehand. Overall it stopped me returning the book straight away as I really wanted to know who it was. You have a couple suspects to choose from. Avita Jay was very good at interpreting most of the Characters, but most of the males did seem menacing , but this may have been to make any of them, the mystery older man in Scarlet's life . Nina is a single mother of two children , she has recently after a whirlwind romance fallen in love and married Welsh Taxi driver Bryn but Nina's happiness is short lived when she learns that her 15 year old daughter Scarlett has fallen pregnant , it shocks her even more , when she finds to her dismay, that the father of Scarlett's baby is an older married man. The. Question is who is this married man? And why is Scarlett so determined to protect his identity, this cause's Nina to have suspicions that she would rather not have, and these suspicions are echoed by her best friend Sarah, a really good book that will keep you in suspense to the end. Poorly written, basic plot. Really disappointing! Slow from the beginning and never really picked up the pace. Kept waiting for a plot twist but there wasn't one. No depth. Simplistic writing. Utter disappointment. If you were ever a 15 year old schoolgirl or a mum then you will identify with this excellent story. I was riveted throughout. The only thing that spoiled it for me was the narration of the male characters. They sounded a bit menacing and creepy. I dont think they were intended to be, it was just very one dimentional naration from Avita Jay. Not great. I think the plot was good but I didn't enjoy the way it was read. 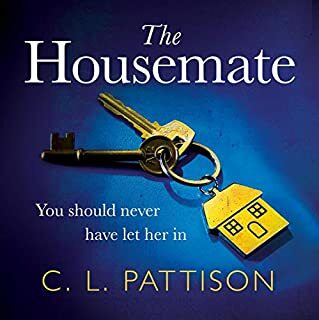 Unfortunately this detracted from my enjoyment of the book to the point where I'd advise people to read it for yourself rather than listen to the audiobook.